The Kate Svitek Memorial Foundation shall operate to provide financial support to individuals, groups, and various institutions whose interest and goals align with the foundation. The foundation’s focus will be primarily to promote and help underwrite a range of activities and education principally related to outdoor and wilderness exploration, study, observation, preservation, improvement, expansion, and enhancement. These activities shall relate to land, water, or atmosphere. Scholarships and grants to local, public, private, or religious schools & universities. Community or civic organizations and programs, parks, or commissions, etc., which help promote or support learning projects or programs for preserving, maintaining, or improving the environment. 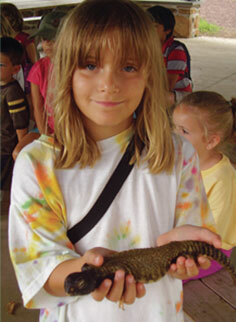 Education and adventure through activities in the outdoors will be emphasized by the foundation. 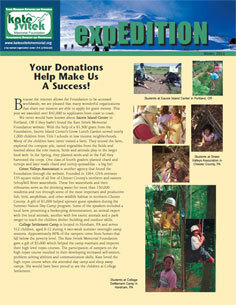 Funding may be provided for guided trips to both known landmarks as well as remote and unexplored destinations. Activities may include hiking, backpacking, camping, scuba diving, water activities, as well as exploration, mountaineering, and related activities. Support will be provided for speakers and seminars related to the outdoors, adventure, ecology, and the environment.